Pool safety is essential for summer fun! The weather is getting warm and you know what that means! It’s time to get the pool gear out and slip into a bathing suit. Pool season is one of the most fun times of the year, but staying safe while you swim shouldn’t be forgotten about. So, are you ready to learn some sweet safety tips for your next dip? Let’s do it! Even experienced swimmers should have a buddy. A lot can go wrong in a pool, even for people who have swimming all their lives. So, when you head out to the pool, you should try and bring a buddy with you. A buddy will make sure that, in the event of disaster, you’ll be able to get the help you need quickly. 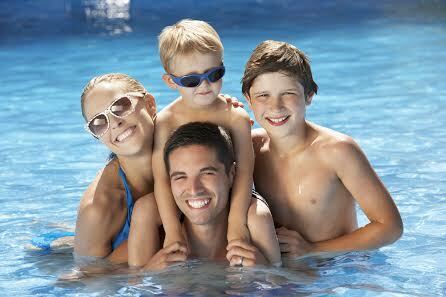 If you want to take your kids to the pool, then you need to keep a close eye on them at all times. You should also try to teach them good pool safety while you’re swimming. This could include teaching them that they should not run around the outside of the pool or avoiding pool drains and filters. You should also teach them how to swim and advise them not to go into the deep end until they are ready. Learn CPR and other life saving techniques. In the event of disaster, you need to know what to and fast. Learning CPR is an excellent lifesaving technique that can help you avoid the worst. Yes, the lifeguard will know how to do this, but you should know it as well in the event the lifeguard cannot jump in fast enough. Stay safe out there. Следующий период в развитии английского языка охватывает время с 1066 по 1485 годы. This entry was posted on Sunday, June 14th, 2015	at 11:00 pm	. Both comments and pings are currently closed.